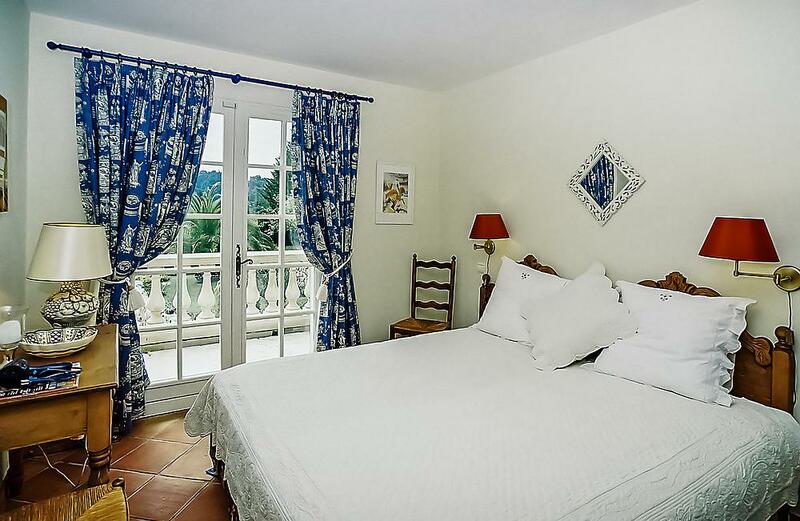 Villa Harmonie is an elegant family villa near Valbonne with large private heated pool situated just outside this popular village. 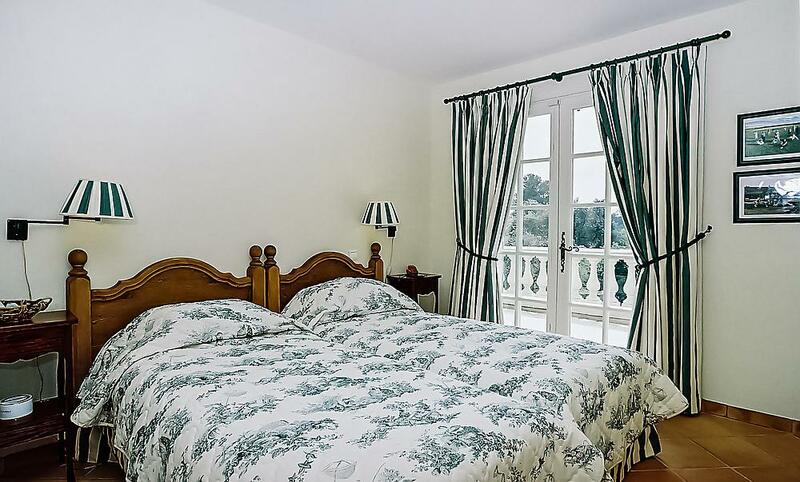 It has been meticulously renovated and beautifully decorated to provide a welcoming and comfortable home.Each bedroom opens onto a large balcony overlooking the pool and garden. 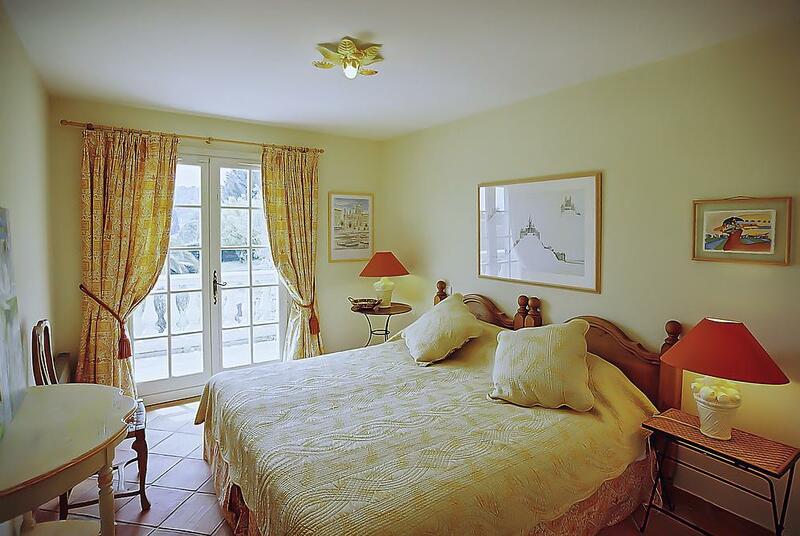 The garden itself is ideal for families with a large level lawn surrounding the pool and covered dining on the pool terrace adjacent to the house.The village of Valbonne offers a selection of shops and restaurants. 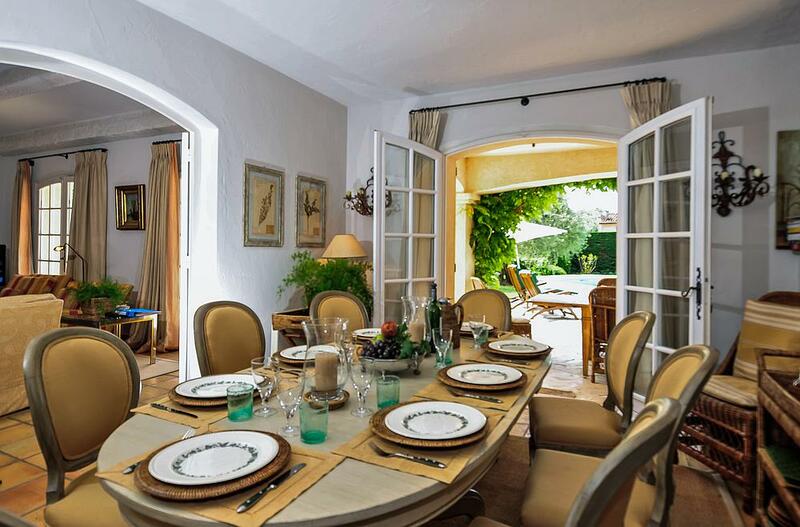 The old port at Antibes bustles with pavement cafes and Cannes and Nice both have lively promenades and a busy night-life.This elegant family villa Valbonne with large private pool enjoys reduced green fees at the Royal Mougins golf course. Included: 4 hours maid service mid-week & each Saturday. Wi-Fi internet, air conditioning.Extras: Telephone. Pool heating €100 per week. 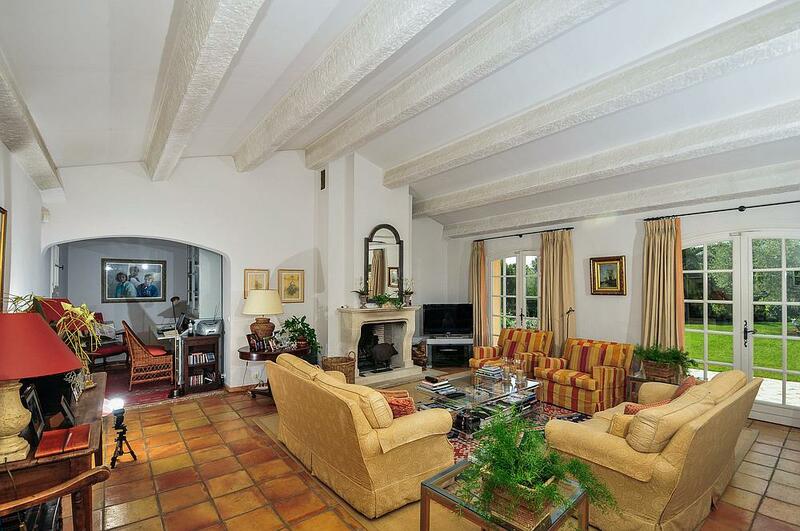 Reduced green fees at Royal Mougins golf club. 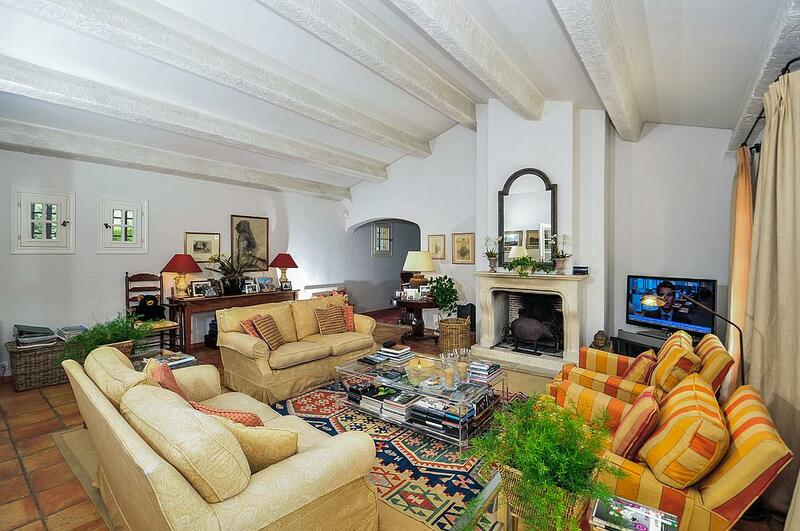 Spacious open plan living/dining room, open fireplace, TV/DVD, French doors to covered dining terrace, garden and pool. 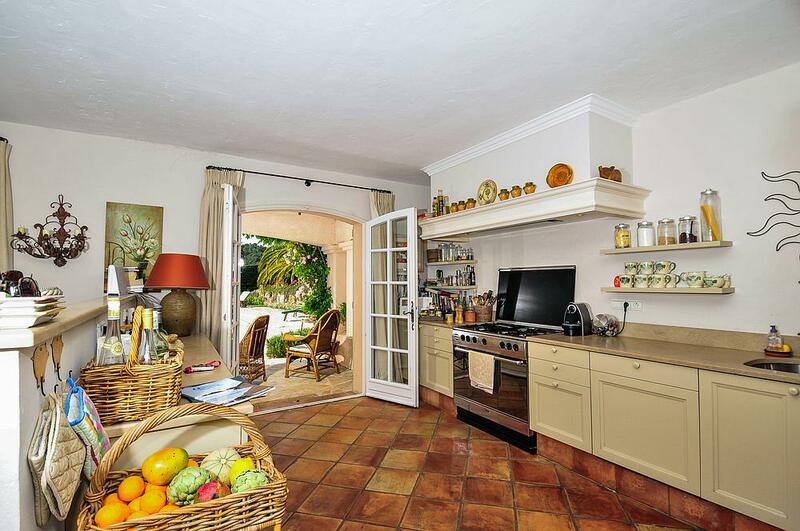 Well equipped open plan kitchen , door to dining terrace. 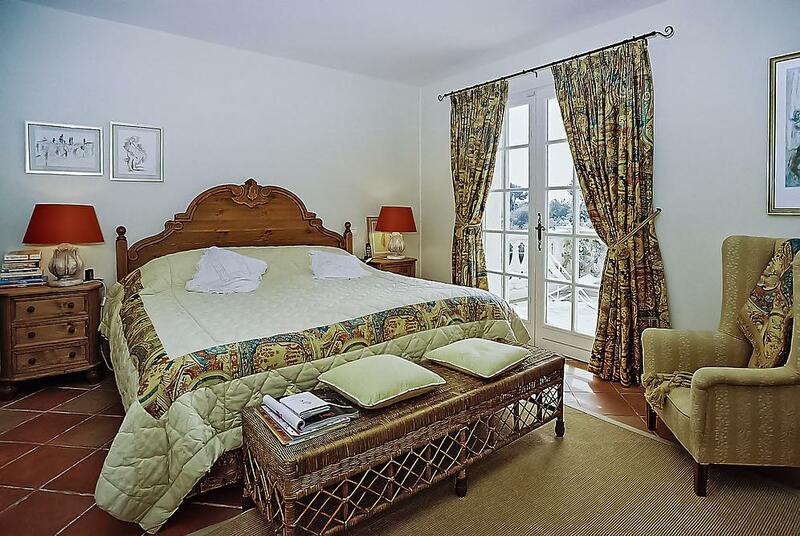 Each bedroom has French doors opening onto a large balcony. Master double bedroom (1.80m), large ensuite bathroom , WC. Two twin/double bedrooms , (2 x 0.90m or 1.80m) each with ensuite bathroom , WC. Further twin/double bedroom (2 x 0.90m or 1.80m) with ensuite shower room, WC. Enclosed, partially terraced grounds. Large flat lawn area surrounding the kidney-shaped 12m x 6m salt-water pool (depth: 1m - 2.80m, Roman steps), portable gas barbecue. Children's trampoline (use at own risk). Ample parking. Included: 4 hours maid service mid-week & each Saturday. Wi-Fi internet, air conditioning.